Most old instruments eventually need to have the top block replaced . 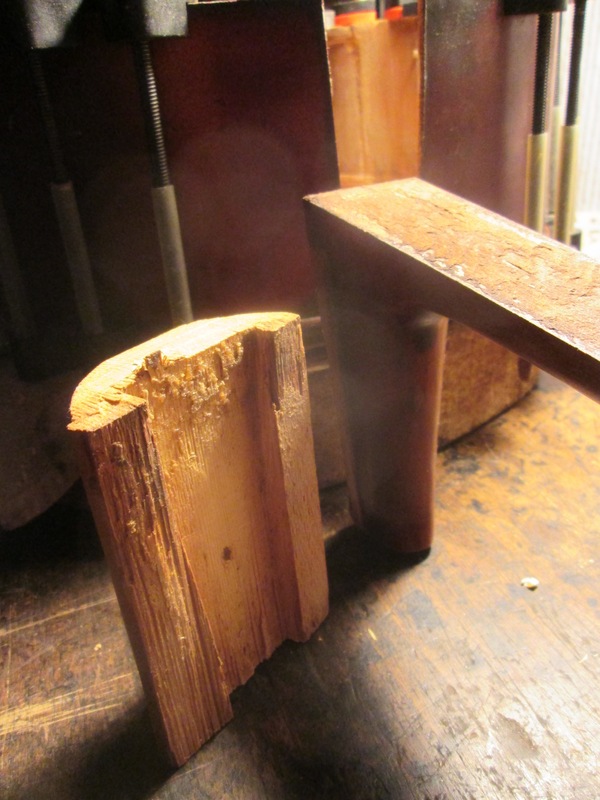 Often (as you can see in this picture) the old block is skimpy and as it wears and ages it doesnt handle the strain of having to remove the neck. In this case I needed to remove the neck because the button ( the semi-circular extension of the back ) had broken and needed to be reinforced. 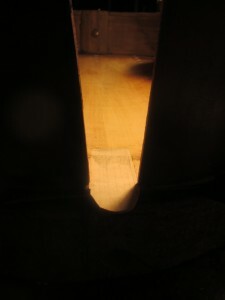 Once the button is glued I inlaid a doubling patch that you can see protruding under the new top block. 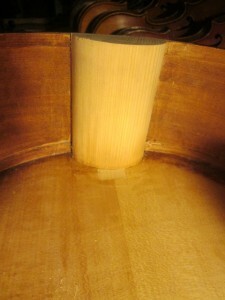 Then when the top is glued on I will carve the mortise for the neck as if making a new insrtument. 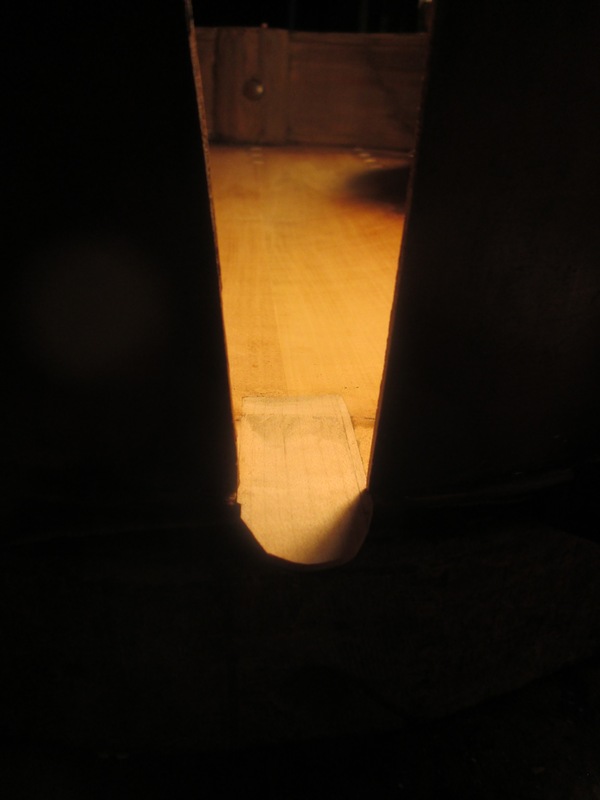 Now the neck can be reset at the higher ,correct angle and it will endure the immense strain of being up to pitch more securely with a solid new top block and strengthened button.